Whether you are a seasoned wanderluster and no stranger to traveling the globe or just about to connect with your inner Phileas Fogg, being safe and taking adequate precautions is vital in today’s often uncertain times where military coups, earthquakes, and civil unrest seem to be perpetually in the news. There is nothing quite so liberating or fantastic as exploring new places and cities, countries and even civilizations. The world is more accessible than ever before, and far-flung places that had previously been off limits have now opened up not necessarily still to tourism but certainly to intrepid travelers keen to participate in the global nomadic lifestyle. 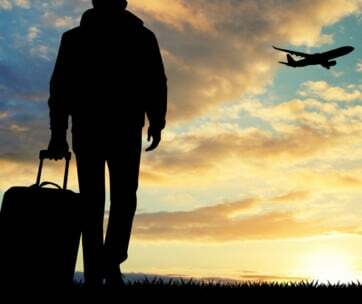 With the advent and increase in popularity of so many digitally based professions that can be wholly carried out remotely, extended travel for more prolonged periods of time than just the two-week annual vacation is very much de-rigor. Just how do you ensure that you are safe when traveling to these exotic and unfamiliar places though? We’re taking a look at what we consider to be the 10 travel safety tips that everyone should know, regardless of how many stamps and worldwide visas already adorn their passport. 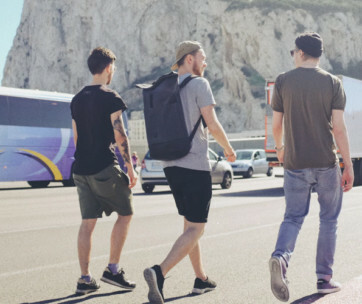 Whether you are male or female, traveling solo or with a partner, the same rules apply, and it goes without saying that your safety should be taken seriously but don’t let that dampen your inner nomadic spirit who is desperate to experience the sights and sounds of somewhere off the beaten track. As they say, the world is very much your oyster, so let’s take a look at some top tips to help you plan out your very own around the world in eighty days’ adventure. Might sound like a boring no-brainer but honestly, it’s staggering how many people set off on a trip, have their entire itinerary carefully planned out and totally forget to check the status of their travel insurance. Woe betide that new set of luggage you’ve just invested in goes missing or Hurricane Hilda hurtles through where you’re currently stationed, don’t discover too late that your travel insurance has expired. Flights get canceled and delayed all the time, luggage sets end up at an entirely different destination to you and might take several days to be re-acquainted, and that tummy bug could turn into something altogether more sinister so get that travel and medical insurance wholly to date. Tempting as it may be to want to pack the kitchen sink and to pack into that new luggage set all your home comforts and particularly all your technical gear, ask yourself if it is really all absolutely necessary. 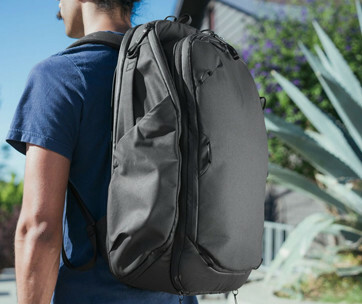 Yes, you can get anti-theft backpacks that will help protect your laptop and digital equipment and if you are setting off on a long haul adventure one of these could make an excellent and essential travel gift idea, but don’t take anything too bulky with you. If you do anticipate working while away and absolutely must bring your laptop, always make sure there’s going to be somewhere safe at your destination to store your valuables. These days just your phone can do pretty much everything you need to think seriously about what electronic equipment you really need to pack and keep to the essentials. We don’t mean be cocksure and arrogant but do hold your head up high and act and look as though you know where you are and where you are going next. If you look alert, knowledgeable and fully in control of your environment, you are far less likely to be approached. Even if you don’t know the way to the next tourist attraction and you have to rely on good old google maps, try listening to the instructions rather than keep looking down at your phone and drawing attention to yourself. Looking like you are a pro in a city will help keep you safe. A good pair of earbuds makes and essential travel gift idea so don’t set off without packing a pair. Tempting as it may be to integrate with the local culture fully and to get acquainted with the bartenders, be careful about who you talk to and avoid leaving your drinks unattended. Don’t be promoting that you are new in town as this might inadvertently set you out as a bit of a target. Solo travel is very much in vogue right now, and so it stands to reason that at some point you will end up in an unfamiliar city, late at night, trying to navigate your way to the next hotel or place to stay. There are plenty of apps that can help you and your friends and family keep tabs on you from a distance, many of which are free too. Apps like Uber, bSafe and Drunk Mode are all great recommendations to have installed on your phone before you set off on your solo adventures. Opportunistic thieves and pickpockets exist the whole world over, and you don’t need to be in a far-flung remote part of the globe to be in danger. In fact, you are far more likely to encounter this kind of threat to your safety in more densely populated and favorite tourist places, especially many of the large European cities. 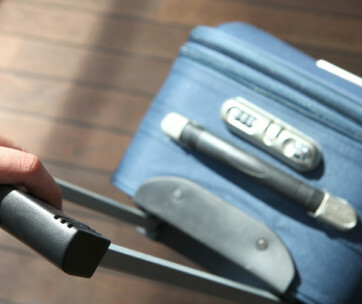 So only take small amounts of cash out with you, make sure you notify your bank that you are traveling and if you can, invest in luggage, like a backpack or bag, that features a concealed pocket to store your valuables such as credit cards and has anti-theft secure RDIF technology built in. It’s a good idea to dress as inconspicuously as possible to not draw attention to yourself too much. Maybe even do a bit of research before you set off to see what the locals are likely to be wearing and blend in as much as you can. This way you are going to be far less of a target to would be pickpockets. Tempting as it may be to wear all your bling, stick to just the essential basics and leave the family heirloom Rolex watch either at home or safely locked up in the hotel vault! So many smart techniques are deployed by would be thieves so have your senses about you at all times and don’t allow yourself to be distracted and to take your eye off the game. Get caught off guard, and your wallet could be gone in an instant so be vigilant at all times but especially when someone is approaching you. Remember, it could be something as inconspicuous as a young child tugging at your jacket, and before you know it, that new travel wallet your Mom bought you for your trip will have been lifted from your pocket before you’ve realized. Safety is not all about keeping your possessions safe, it’s also about looking after your health and making sensible choices about what you eat and drink. You don’t have to go on a Bush Tucker Challenge and eat all the local delicacies if you quite frankly don’t have the stomach for it. Be careful too to take care of any insect or other bites and scratches you might suffer from to ensure that they don’t become infected. Overseas hospital treatment can be incredibly expensive so look after your health and ensure that medical insurance is both up to date and adequate enough to properly protect you. It’s always a good idea to do your research before you leave and to know where your country’s embassy or consulate is located when you are traveling somewhere unfamiliar. They exist to help protect you away from home and can be a good source of information and advise. They can also, more importantly, help you liaise with your family back home just in case any emergency situations do occur. Traveling is such a wonderful experience and truly enriches your life on so many levels. Tasting new cuisine, visiting world heritage sites, meeting new people and learning new languages along the way. Nowadays we really are a global community, and with the right vigilance and precautions, previously unchartered territory is there for you to enjoy, explore and capture beautiful memories of. 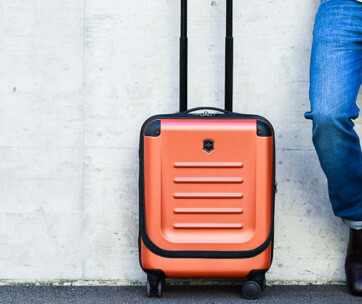 Armed with these top 10 safety tips, your new luggage set and a few essential travel gifts, you really can head out, Phileas Fogg style, on your very own round the world adventure and tick off all those places on your extensive global bucket list. Just be safe guys, use your sense and judgment at all times and above all, enjoy the experience.